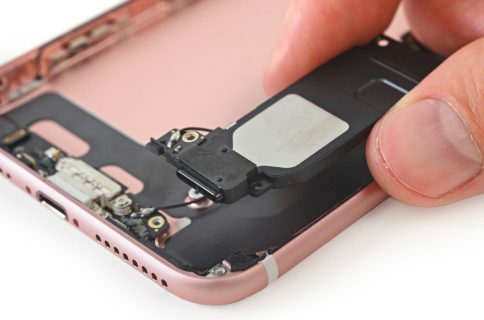 Following iFixit’s analysis of the components and internal layout changes in the iPhone 7 Plus, semiconductor experts over at Chipworks and TechInsights have performed a joint in-depth analysis of the chips in the 128GB iPhone 7 model “A1778” to identify the key integrated circuits at play. 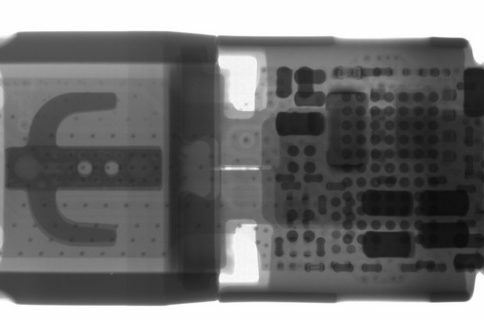 The Apple-designed A10 Fusion chip is “incredibly thin,” Chipworks has discovered, thanks to TSMC’s InFO packaging technique resulting in a thinner package. Perhaps more interesting than that, the AT&T and T-Mobile edition of the handset indeed comes with Intel’s LTE modem inside versus Qualcomm’s that powers cellular connectivity in other hardware versions of the device. What that means is that, because iPhone 7 models “A1778” and “A1784“ have an Intel modem inside which doesn’t support CDMA networks, these handsets cannot be used on Verizon and Sprint networks. Specifically, Intel supplied a pair of RF transceivers (SMARTI 5 built on TSMC’S 28-nanometer process), the baseband modem and the power management circuitry (the X-PMU 736, part of Intel’s XMM 7360 platform). “We see Intel’s baseband modem PMB9943 and suspect this is the rumored Intel XMM7360 modem,” says Chipworks. That’s in stark contrast to the iPhone 6s, which has a universal modem that supports most cellular networks. Qualcomm’s MDM9645M LTE Cat. 12 modem is present in all of the other carrier models of the iPhone 7 instead of Intel’s. As for the battery, the 4.7-inch iPhone 7 that Chipworks and TechInsights pried open has a 1,960 mAh, 3.8 V (7.45 Wh) battery that gives it two additional hours of performance compared with the iPhone 6 battery rated at 1,810 mAh, 6.9 Wh. In comparison, the exploding batteries in the Samsung Galaxy Note 7 are 15.4 Wh, twice the size. The iPhone 7 Plus has a 2,900 mAh battery that lasts an hour longer than that in the iPhone 6s Plus, a slight upgrade over the 2,750 mAh cell in the iPhone 6s Plus and a step down from a 2,915 mAh (11.1 Wh) one in the iPhone 6 Plus. The firms have also confirmed that Apple’s A10 Fusion chip (part number APL1W24) in their unit was built by TSMC, confirming rumors that it’s being single-sourced from TSMC. 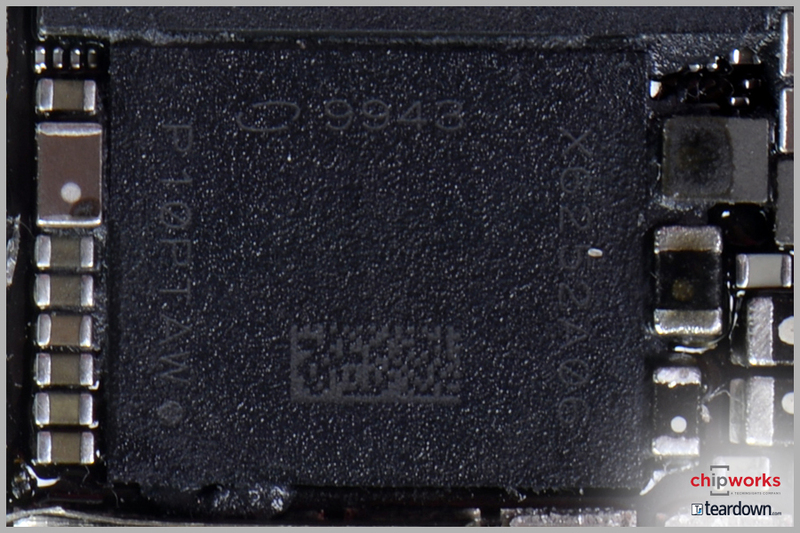 MegaChips (formerly SiTime) supplied one of their MEMS clock circuitry commonly used in wearables and some game controllers. A10 Fusion in X-ray vision. 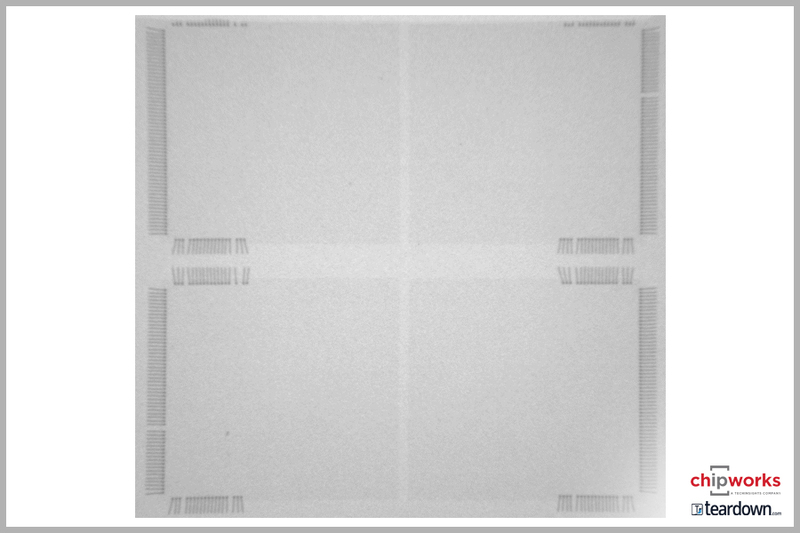 The A10 Fusion package has a die size is of about 125 square millimeter and is “incredibly thin”, giving credibility to the reports that TSMC’s InFO packaging technique is being used. 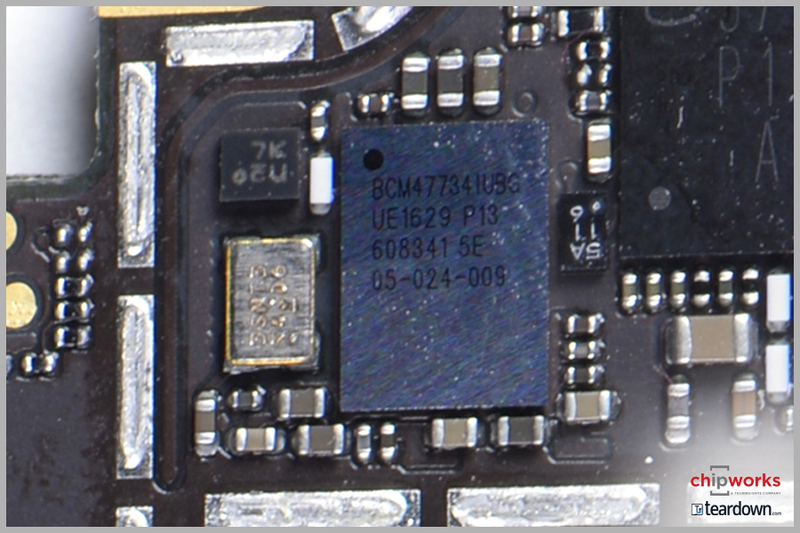 Similar to the low-power mobile DRAM in the iPhone 6s, the iPhone 7 uses package-on-package assembly which puts the A10 chip below 2GB of Samsung-built LPDDR4 RAM (the iPhone 7 Plus has 3 GB of RAM). “Looking at the X-rays we see the four dies are not stacked, but are spread out across the package,” which helps keep the overall package height to a minimum. 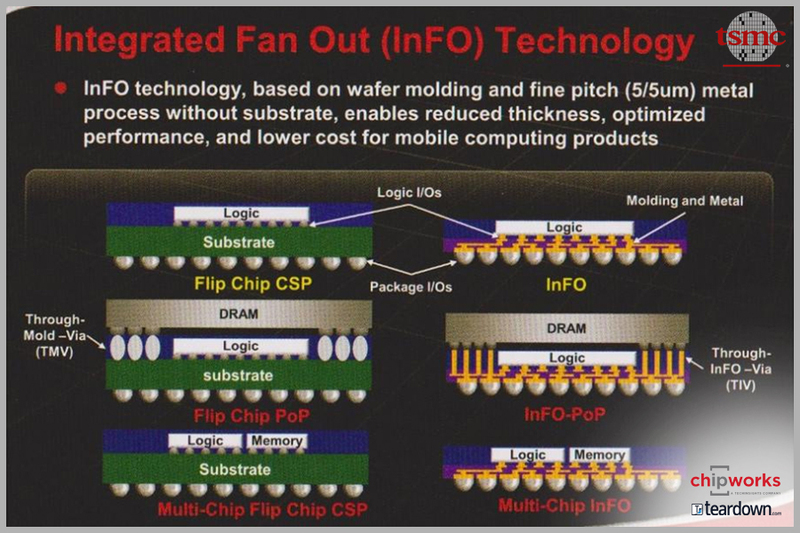 The combination of package-on-package assembly and TSMC’s InFO packaging technique helps reduce total chip height significantly. They also found 128 GB of NAND flash (a 16-die stack of 128-Gb parts) with EMI shielding, fabricated in 15-nanometer process technology. Both SK Hynix and Toshiba have been identified as NAND flash suppliers for the new iPhones. 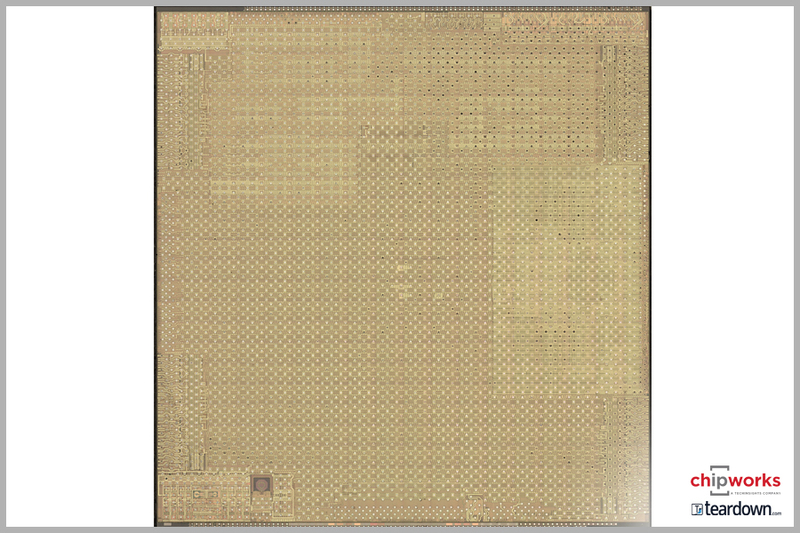 A Broadcom-provided GPS module (BCM47734) possibly contains Sensor Hub functionality that combines the GPS and sensors such as gyroscopes, barometers, accelerometers and others. 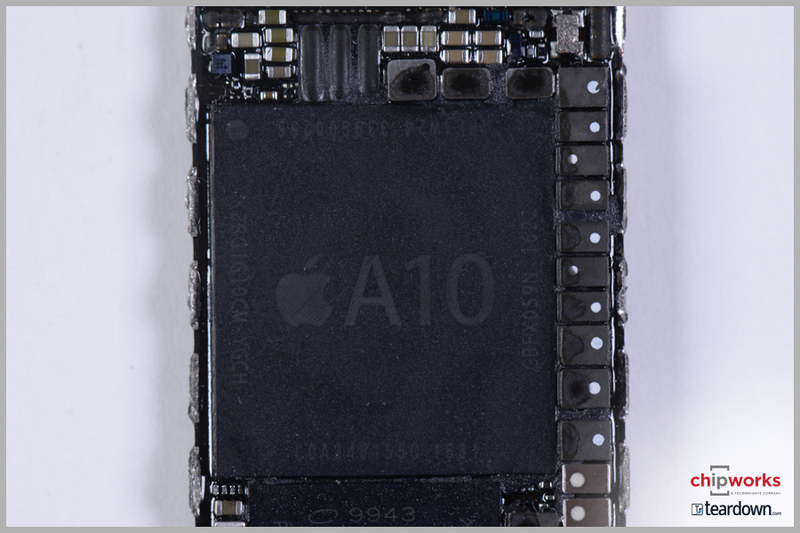 Apple did confirm that the A10 Fusion has its own sensor hub. That said, if the Broadcom part used in the device does have a sensor hub “it may not be utilized here in the iPhone 7,” cautions Chipworks. There are also three audio amplifiers (two in the iPhone 6s): two to drive each of the two speakers while the third could be for the headphone via the Lightning port. On a somewhat related note, Tech Insights, Inc. and Chipworks have now combined their respective businesses to become a global leader in advanced semiconductor technology intelligence, analysis and reverse engineering.